The result of me being friends again with running and my mileage slowly creeping up and running more days per week, is it’s time for me to reacquaint myself with a couple of old friends. 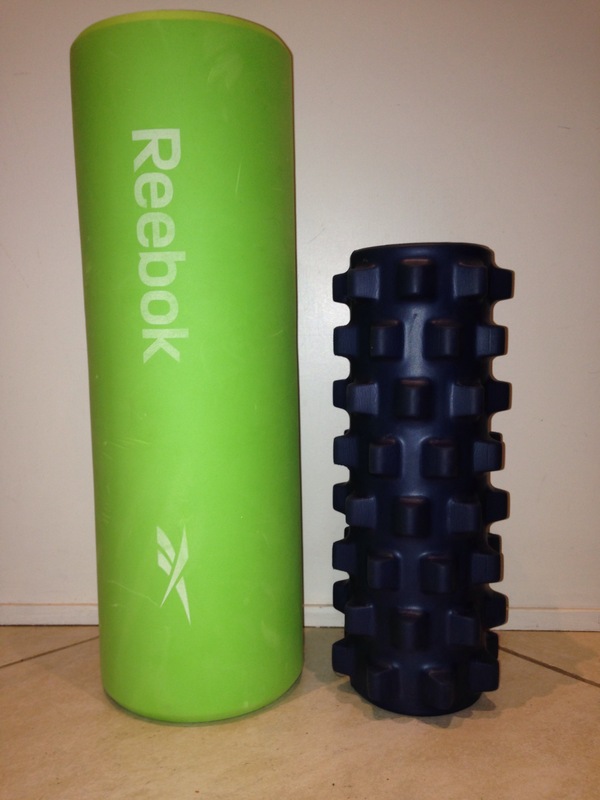 My foam rollers. I realised it was time at BMF today when my knees moaned during jump squats, my calfs felt like rock running backwards and my hamstrings winged during the 100 burpee challenge. Well my legs did ask for it. Think I’ll start with with the nicer friend first. 1 hour BMF class with 2.8 miles running. 5.8 miles cycling. Categories: fitness, Janathon, running | Tags: BMF | Permalink. I think your hamstrings are entitled to a bit of a moan after that! I only have the nicer friend!